The basic functionality is to use MiR100™/MiR200™ to move ROEQ C300 between key logistic points. With the Top Module (TMC1) the robot can manage several ROEQ C300 Carts. Using the ROEQ C300 makes the MiR100™/MiR200™ robots much more flexible. 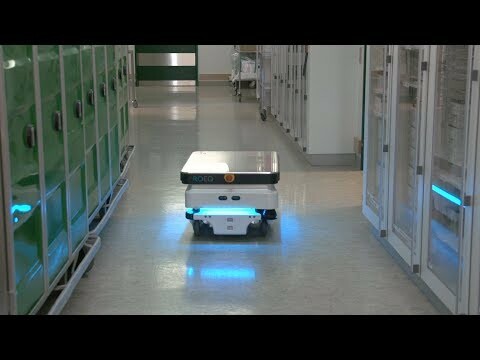 The robot can collect the loaded Cart, deliver it to the designated docking station and leave it there to be emptied or prepared for the next mission. This way the MiR100™/MiR200™ is only stationary for a short amount of time, effectively streamlining the workflow between different divisions of your facility.